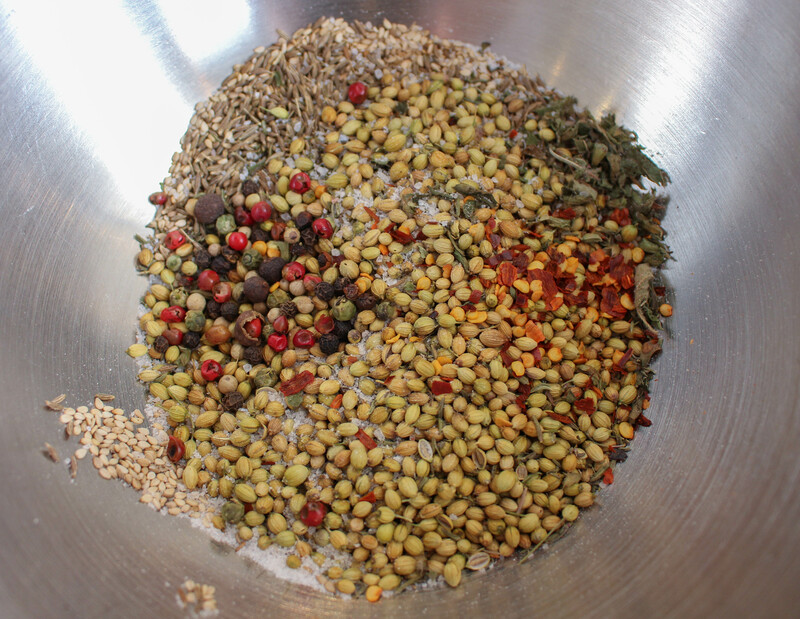 This spice mix is thought to have originated in Egypt and is often served alongside dishes throughout the Middle-East. It is used as a condiment to season vegetables or to dip bread into with some olive oil. Using a small frying pan, dry-roast the hazelnuts and seeds separately over a medium heat. You will know when they are done as they will become aromatic. Take care not to burn them. Place all of the ingredients in a food processor (you can use a pestle and mortar if you like) and pulse until the spice mix is a coarse powder with some seeds still intact. This should only take a few seconds. Store in a air-tight container for approximately three months.